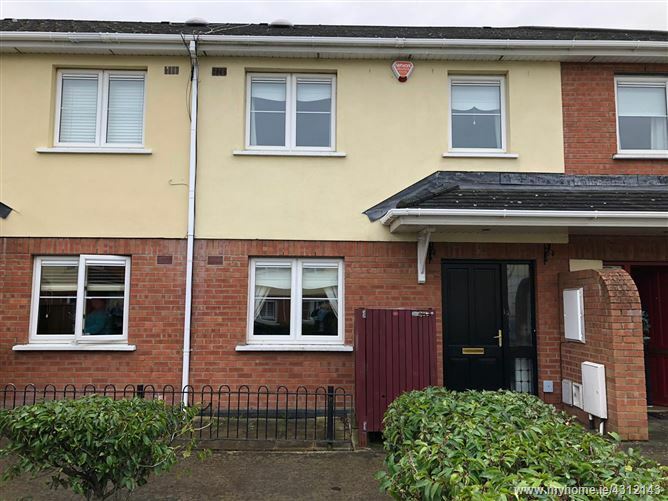 A SUPERB TWO BEDROOM HOUSE LOCATED IN THE POPULAR TYRRELSTOWN DEVELOPMENT IN DUBLIN 15. Multi Award Winning Team Christina Wilson The Tyrellstown Property Specialists are delighted to introduce this beautiful home to the market. No. 19 Bealing Avenue has been tastefully decorated and finished to an extremely high standard. The property is in immaculate condition through and will attract strong interest from Investors and First Time Buyers alike. The floor plan briefly consists of : Entrance hall, large living room, and spacious dining/kitchen area with utility room. Upstairs there are two substantial bedrooms to include master en suite and a family bathroom. The living room has an attractive fireplace inset and rich chocolate coloured top quality laminate flooring. The new designer kitchen has high gloss units with porcelain floor tiles plus an abundance of base and eye level storage. There is laminate flooring and fitted wardrobes in both bedrooms. The master ensuite bathroom has an electric shower. The main family bathroom has a bath and quality sanitary ware. The property has white double glazing and a gas fired central heating system with a new boiler recently installed. The property is fully alarmed. There is an allocated car parking space directly in front of the property with additional visitor spaces nearby. The back garden is maintenance free with a large double deck and shed.